We need to raise children to become caring, respectful and responsible adults. Children are not born simply good or bad. They need adults who will help them become caring, respectful, and responsible for their communities at every stage of their childhood. Parents tend to prioritize their children’s happiness and achievements over their children’s concern for others. 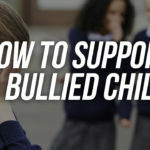 But children need to learn to balance their needs with the needs of others, whether it’s passing the ball to a teammate or deciding to stand up for friend who is being bullied. Children need to hear from parents that caring for others is a top priority. A big part of that is holding children to high ethical expectations, such as honoring their commitments, even if it makes them unhappy. 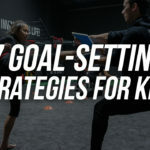 For example, before kids quit a sports team, band, or a friendship, we should ask them to consider their obligations to the group or the friend and encourage them to work out problems before quitting. 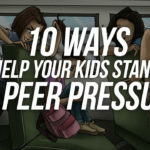 b) Make sure that your older children always address others respectfully, even when they’re tired, distracted, or angry. c) Emphasize caring when you interact with other key adults in your children’s lives. For example, ask teachers whether your children are good community members at school. It’s never too late to become a good person, but it won’t happen on its own. Children need to practice caring for others and expressing gratitude for those who care for them and contribute to others’ lives. Studies show that people who are in the habit of expressing gratitude are more likely to be helpful, generous, compassionate, and forgiving—and they’re also more likely to be happy and healthy. Learning to be caring is like learning to play a sport or an instrument. Daily repetition—whether it’s a helping a friend with homework, pitching in around the house, or having a classroom job—make caring second nature and develop and hone youth’s caregiving capacities. Learning gratitude similarly involves regularly practicing it. Almost all children care about a small circle of their families and friends. 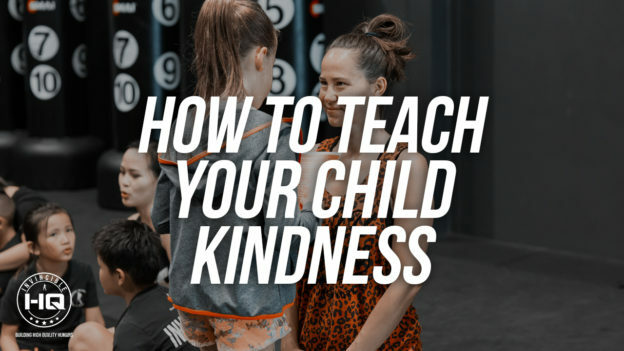 Our challenge is help our children learn to care about someone outside that circle, such as the new kid in class, someone who doesn’t speak their language, the school custodian, or someone who lives in a distant country. Children need to learn to zoom in, by listening closely and attending to those in their immediate circle, and to zoom out, by taking in the big picture and considering the many perspectives of the people they interact with daily, including those who are vulnerable. They also need to consider how their decisions, such as quitting a sports team or a band, can ripple out and harm various members of their communities. Especially in our more global world, children need to develop concern for people who live in very different cultures and communities than their own. 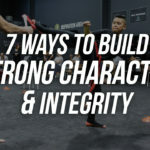 Being a moral role model and mentor means that we need to practice honesty, fairness, and caring ourselves. But it doesn’t mean being perfect all the time. For our children to respect and trust us, we need to acknowledge our mistakes and flaws. We also need to respect children’s thinking and listen to their perspectives, demonstrating to them how we want them to engage others. Often the ability to care for others is overwhelmed by anger, shame, envy, or other negative feelings. We need to teach children that all feelings are okay, but some ways of dealing with them are not helpful. Children need our help learning to cope with these feelings in productive ways. Here’s a simple way to teach your kids to calm down: ask your child to stop, take a deep breath through the nose and exhale through the mouth, and count to five. Practice when your child is calm. Then, when you see him/her getting upset, remind him/her about the steps and do them with him/her. After a while he/she’ll start to do it on his/her own so that he/she can express his/her feelings in a helpful and appropriate way. 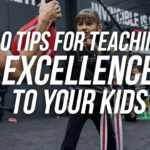 This entry was posted in Parenting Blog on May 8, 2018 by Invincible Worldwide.